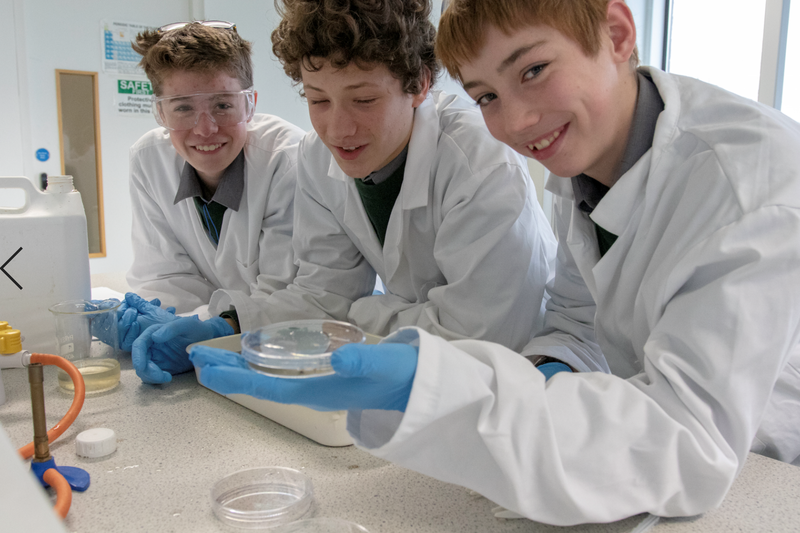 Athlone Institute of Technology celebrated Science Week 2018 in style with a whole host of activities and events specifically designed to spark imagination and delight secondary and primary school children across the Midlands. From line dancing senior citizens concerned with active ageing and the institute’s first intergeneration games, to fermented foods and gut health, ancient earthy pottery, origami from outer space and a rogue crayfish, attendees were treats to a wide array of workshops, talks and interactive learning experiences. Coordinated nationally by Science Foundation Ireland (SFI), the institute was one of twelve centres across Ireland to celebrate the wondrous world of Science, Technology, Engineering and Maths with the view to encouraging the future matriculation of students into these areas. This year’s festivities were opened by former Minister for Education Mary O’Rourke, who aside from being a notable luminary in her own right and a trailblazer in the world of Irish politics, is one of the institute’s Distinguished Fellows. Exemplifying this, the South Dublin Senior Citizens Club were in attendance to give a line dancing demonstration and to participate in the institute’s first Intergenerational Games. The group of senior citizens, whose average age is 76, competed against AIT students in three sports: Badminton, Table Tennis and Pool. Aside from the fun and frivolity of it all, the games were intended to highlight the importance of active ageing for the continued health of older people in the community. From a scientific perspective, Organiser and Lecturer in Sport and Recreation, Joe Tierney, was on hand to take measurements, including heart rates before and after exercise and recovery, as well as the number of steps participants had taken over the course of the events. The same was done for the participating Sports Science students, whose average age is 21. “Engagement in physical activity enhances people lives but it’s not just the physical element that’s important, the social element is also crucial for active, healthy and happy aging. Physical activity, whether that be through sport or line dancing, brings people together and gives them a reason to communicate. Today’s Intergenerational Games, which saw older people mixing with younger people and vice versa, was a huge success and of benefit to both groups,” he said. Over the course of Science Week, which ran from November 11th to 18th, attendees were also treated to a series of interactive workshops and talks, including a Junior Cycle Project Event that looked at Athlone’s freshwater ecology, a microbiology lab, everyday science in the kitchen, a ‘who done it’-style forensic lab and a look at the ingredients in our food. As part of a series of bitesize lunchtime lectures, attendees also learned about the secret life of bees, origami in and out of outer space, pottery: an ancient earthy science and lastly, drugs: the good, the bad and the ugly, the latter of which was delivered by Lecturer in the Department of Nursing and Health Sciences, Dr Gary Stack. Dr Stack’s talk looked at people’s experiences with and management of pain, particularly in relation to pain medication. “Pain is such a broad topic and can range from a tooth-ache to severe and debilitating back pain. As a community pharmacist, I have spent many days helping people to choose the right solution for their symptoms. By understanding more about the science of pain and the medicines we use to treat it, people can be empowered to make better choices for their own healthcare,” he said. The week rounded out with the ISTA Secondary Schools Chemistry Quiz Final, which was hosted on Thursday evening in the Hospitality, Tourism and Leisure building and a series of Anyone4Science roadshows, which gave students the opportunity to carry out their own scientific investigation or activity during the workshops - giving them a ‘hands-on’ science experience. The SFI funds oriented basic and applied research in the areas of science, technology, engineering, and mathematics (STEM) which promotes and assists the development and competitiveness of industry, enterprise and employment in Ireland. The Foundation also promotes and supports the study of, education in and engagement with, STEM and promotes an awareness and understanding of the value of STEM to society and to the growth of the economy. Distinguished by outstanding learner experience, applied education and an industry-focussed approach to research and innovation, AIT is currently ranked 9th nationally in The Sunday Times league table comprising of Irish universities and institutes of technology. Click here for a full list of CAO courses.